Data from the DOH Epidemiology Bureau showed dengue cases soared to 44,566 from Jan. 1 to March 9. The figure was 18,150 higher compared to the 26,408 recorded cases during the same period a year ago. 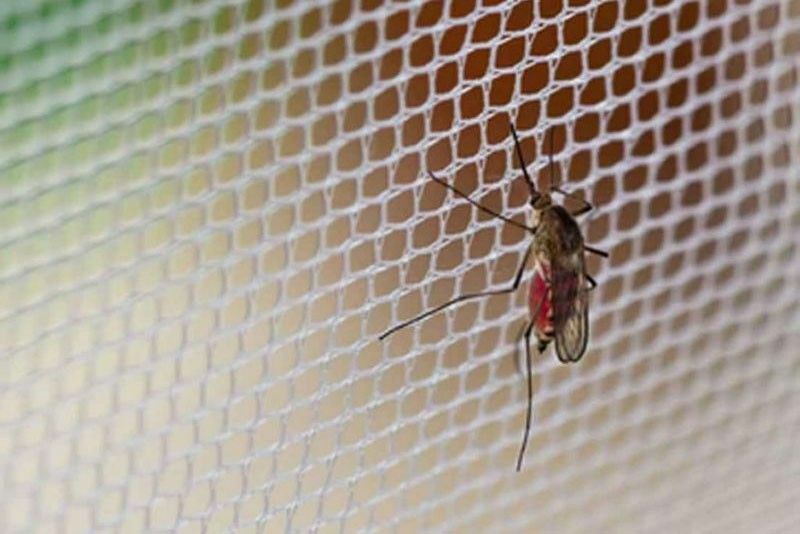 MANILA, Philippines — Dengue prevalence nationwide continues to climb with cases in five regions exceeding epidemic threshold, the Department of Health (DOH) has reported. Fatality due to dengue also went up slightly from last year’s total of 134 to 167. A majority or 43 percent of dengue deaths were children aged five to nine years. Central Visayas accounted for the highest number of cases with 4,956, including 32 deaths followed by National Capital Region with 4,604 and Calabarzon (Cavite-Laguna-Batangas-Rizal-Quezon) with 4,559. The DOH noted dengue cases significantly increased and considered to have exceeded epidemic threshold in Cagayan Valley, Mimaropa (Mindoro-Marinduque-Romblon-Palawan), Western Visayas and the Bangsamoro Autonomous Region in Muslim Mindanao. Dengue prevalence in Northern Mindanao, Davao Region, Soccsksargen (Region 12), Cordillera Administrative Region (CAR) and Caraga exceeded alert threshold. Health authorities will validate cases in areas with clustering for appropriate action. Barangays and municipalities in areas that exceeded epidemic and alert threshold will also be identified. More than half of dengue patients were males. Five to nine years age group were the most affected. DOH has identified 139 barangays in 75 cities as dengue “hotspots.” Among the dengue hotspots in Metro Manila are the cities of Caloocan, Las Piñas, Malabon, Marikina, Muntinlupa, Parañaque, Pasig, Quezon and Valenzuela. An area can be classified as dengue hotspot when there is clustering and increasing cases for two consecutive weeks. Provinces with identified dengue “hotspots” are Cagayan, Isabela, Quirino, Aurora, Bulacan, Nueva Ecija, Batangas, Cavite, Laguna, Rizal, Oriental Mindoro, Palawan, Aklan, Iloilo, Negros Occidental, Negros Oriental, Bohol, Cebu, Northern Samar, Zamboanga del Sur, Zamboanga Sibugay, Bukidnon, Lanao del Norte, Misamis Oriental, Compostela Valley, Davao del Norte, Davao del Sur, Davao Oriental, North Cotabato, South Cotabato, Agusan del Sur, Surigao del Norte and Surigao del Sur. DOH Calabarzon regional director Eduardo Janairo said they are continuously monitoring the increasing dengue cases and all logistics are in place should there be a surge in the number of cases. “We have deployed Regional Vector Control Spraymen to barangays with high incidence of dengue cases and also trained sanitary inspectors and spraymen of Laguna and the top 10 municipalities/cities with dengue cases on the preparation and application of insecticides for dengue control such as misting/fogging and residual spraying, for outbreak response,” Janairo said.